DJ Nick Dawson, one half of the vinyl DJ duo Funk Bros, admits he was a bit late jumping aboard the Prince juggernaut, but a bargain LP buy won him over and now he’s driven to share the genre-bending pop star’s music with others. This weekend’s Rest in Prince gig at the Rhino Room basement will be the third hosted by the DJs, and Dawson insists it’s not just for hard-core fans. Why a Prince tribute night? I want to share the joy of Prince’s music with others – long-term fans, new fans, and music-lovers in general – and create a party atmosphere to celebrate and pay respect to one of pop music’s true icons, whose musical output, talent and influence are in rarified air. All Prince, all night. 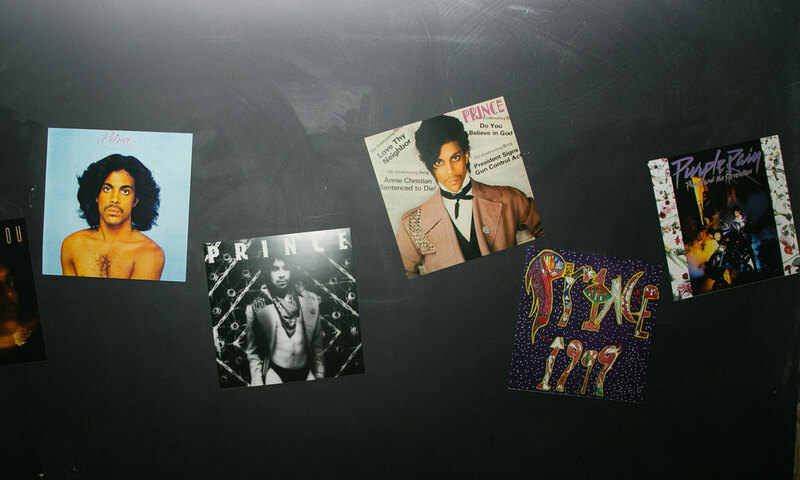 Five hours of his hits, rarities and whatever else we’ve got that’s Prince-related. The music’s gonna sound great, not just because it’s Prince, but because Condesa Electronics have kindly supplied one of their bespoke, analogue mixers. If you’ve only heard Prince on Spotify or the radio, this will be a whole new auditory experience. We’ve got a few other surprises up our sleeve, so let’s just say that there’ll be eye-catching visuals, spaces to chill and things to make you sparkle. How did you discover Prince’s music? Like most ’80s babies, growing up in Adelaide I heard the occasional Prince song on FM radio – usually “1999” or “When Doves Cry”. Once I started forming my own musical tastes, I’ll admit, Prince didn’t immediately grab me, but I kept coming back and listening again and again. I think what sealed the deal was finding his Sign o’ the Times double LP at the Semaphore Record Fair for $20, taking it home and having repeat listens. That’s the album that clinched me as a Prince fan and from there I tracked down any other records I could get my hands on. Rest in Prince promises ‘all Prince, all night’. Why do you think his music appeals to so many people? He’s just an incredible songwriter. I think his music is very open-minded, inclusive and diverse, both lyrically and musically. He transcends genre and encompasses such variety into his songbook that I think most people who hear his music can appreciate the skill and talent he possessed. Can you name your top five favourite Prince songs? Look, this is subject to constant change, but at the moment: “I Wanna Be Your Lover”, “It’s Gonna Be a Beautiful Night” (live), “Controversy”, “U Got the Look” and “Xtralovable”. Rest in Prince will take place from 9pm-2am this Saturday, April 13, in the Rhino Room basement.